The Rockies have long been one of baseball’s worst teams. In the last five years, they have averaged 91 losses per season, never doing better than 74-88. It seems that no one has yet figured out how to win in Colorado, and the management keeps adopting new plans every couple years while totally scraping old ideas. So far, nothing has really seemed to work. Is this the year that GM Dan O’Dowd’s crazy concoction finally works? 1. Is Jeff Francis finally going to break out? What makes Francis so interesting is that he’s been a top pitcher in Colorado since the start of his career. He’s the ultimate example of player vs. park. So who’s going to win? Well, so far the results have been ridiculous. In 222.3 career innings, Francis’ home ERA is a respectable 4.61 (that’s 4.01 park-adjusted), while his road ERA is 6.38. Colorado pitchers do suffer from a certain “Coors Hangover Effect” on the road, but generally they have still been more than a run better on the road than at home over the past five years. So what gives? Francis has simply been less self-destructive at home. His career home-runs-per-nine-innings rate (HR/9) is 1.60 on the road, and it’s 1.09 at home (even though Coors Field increases home runs by about 14%). His walks-per-nine-innings rate (BB/9) on the road is 4.00 and only 2.55 at home. What makes this so intriguing is that Francis is the first really good pitcher to come up through Colorado’s system. He’s used to Coors-like conditions, having pitched (and pitched well) in some pretty extreme minor league parks: Colorado Springs and Visalia. All three parks suppress strikeouts at a ridiculous rate; in fact, Coors is the most neutral of the three. But at Colorado Springs and Visalia, Francis struck out 202 batters in 201.7 innings. In the major leagues, he’s only struck out 160 batters in 220.3 innings. That’s about one strikeout per nine less than could have been reasonably expected. Nevertheless, his success at Coors does show that pitching in similar parks must have helped Francis remain unfazed by the park’s effect on run scoring. So back to the original question: Is Francis ready to break out? PECOTA gives him a 22% chance of doing so, and a 60% chance of improving over his track record. That’s pretty healthy. Francis’s road BABIP so far has been .313, and that should go down, giving him better road numbers this season. His home numbers are already pretty good. As long as the strikeouts reappear, Francis will continue to improve at 26 and take over as Colorado’s ace this year. 2. What happened to Todd Helton? Todd Helton had a weird 2005. Through June 20, he was putting up a .250/.379/.398 line, despite playing in hitter-friendly Coors Field. He’d hit only six home runs and was deriving most of his value from his awesome patience. It wasn’t even bad luck; Helton’s batting average on balls in play (BABIP) was .283, only somewhat below league average. Helton’s back problems had sapped his power and abilities. However, after June 20, he got hot and hit .381/.500/.652 the rest of the way. He hit 14 home runs in 77 games, and he looked like the Todd Helton of old. So what was Helton’s problem in 2005? First, his slugging percentage (SLG) against lefties in 2005 was a ridiculously low .316, after slugging .579 against lefties in his previous three seasons. That was probably just bad luck, though if he only hits one home run versus lefties again in 2006, his effectiveness will be limited. Helton’s BABIP against lefties last year was only .306, while his BABIP against righties was .368, which further leads me to believe that he’ll be alright in 2006. But Helton’s overall power was down last year. His .534 SLG was Helton’s lowest since 1998, his first full season. His rate of one home run per 25.5 at-bats (20 home runs total) was Helton’s lowest ever. But Helton has never really been much of a home run hitter. In his previous three seasons, he was around 30 home runs each year. Considering that Helton plays for the Rockies, that’s actually relatively average: it’s equivalent to maybe 25 home runs a year in any other park. Helton’s always been more of a doubles hitter, and he was as good at that as ever last year. In all, I see Helton rebounding somewhat this year, which is great because he was actually very good last season. He’s getting older, but Helton will still be one of the best hitters in baseball in 2006. 3. Can their pitchers carry the Rockies? Partially due to their park, partially due to their inability to find good pitchers, the Rockies have never been known as a team that could win on the strength of the pitching staff. Well, Dan O’Dowd has worked hard at improving the Rockies’ pitching, and it actually looks pretty good. Cook too relies on his sinker, though to a greater extent that Jennings, and so far he’s been very successful, with a 3.67 ERA in 13 starts last year. However, I’m skeptical that Cook will continue to remain successful. While his extreme groundball tendencies (3.33 ground ball-to-fly ball ratio last year) help him keep from allowing many home runs and extra-base hits at Coors, his career strikeouts-per-walks rate (K/BB) is 121/125. Even last year—his career best—Cook struck out only 24 batters and walked 16. I just don’t think that a pitcher who strikes out 3.2 batters per nine innings can be successful. However, Cook’s strengths (an okay walk rate and large amount of ground balls) are best suited for Coors Field, so if anyone can pitch well with such a low K rate, it will be Cook. The Rockies acquired Byung-Hyun Kim from the Red Sox after he imploded in Boston in 2004. Well, last year, Kim was actually pretty good for the Rox, posting a 4.37 ERA in his 22 starts. Kim is the type of pitcher that many have speculated could succeed in Colorado; his funky sidearm delivery makes it tough for batters to see the ball, which might be especially helpful at Coors Field, where players who rely more on stuff generally get hit hard. Indeed, Kim’s BABIP last year was only .025 points higher at home, half the average difference. Now obviously, with a sample as small as 148 innings, it’s impossible to make any conclusions, but there does seem to be some evidence that Kim can be successful pitching in Colorado. Excluding 2004, he’s been a good pitcher throughout his career, and he’s still just 27, so Kim looks very good going forward. Day had been a solid pitcher in his three-year career prior to 2005. Last season he broke his wrist, clashed with manager Frank Robinson, and got dealt to the Rockies as part of the Preston Wilson trade. After three seasons of above-average pitching, Day tossed only 47.3 innings with a 6.85 ERA. But he’s still a solid pitcher, and Day seems to play into the Rockies’ philosophy of acquiring groundball pitchers with low-K totals, as he has a career 2.35 G/F ratio but only 4.6 K/9. Day’s G/F ratio has witnessed a disturbing downward trend since he came into the major leagues, and that’s a trend he needs to end if Day is to be successful in Colorado. Day is injury prone, and he would be replaced by either Sun-Woo Kim or Josh Fogg, both of whom are currently competing with him for the final spot in Colorado’s rotation. Both, however, are the definition of mediocre with career ERA+ of 87 and 90, respectively. Kim also has a –3 OPS+ for his career, with an OBP (.169) lower than his batting average (.172). Think playing in Colorado might help him there? The Rockies also sport a pretty solid, if not deep, bullpen. Closer Brian Fuentes throws gas and had 31 saves with a 2.91 ERA last year. Left-Handed-One-Out-Guy (LOOGY) Ray King comes from St. Louis with a good track record. Jose Mesa has 319 career saves. Mike DeJean was very good for the Rockies when he pitched in Colorado between 1997 and 2000. Colorado’s pen isn’t exactly comparable to the Angels’ or Twins’ bullpens, but it’s the best Colorado has had since 2000. 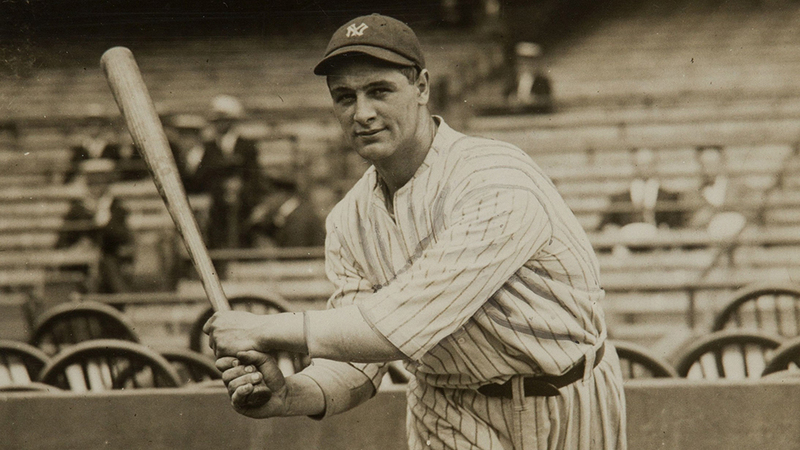 When city guy Lou Gehrig played a cowpoke. So while it’s unreasonable (okay, stupid) to expect the Rockies to turn into the mid-90s Braves, Colorado does indeed seem to have a pretty good pitching staff. If the hitters hit, the Rox could go .500 or even better. 4. What can we expect from the young ones? The Rockies’ lineup is littered with young hitters; all their starters but Todd Helton are 27 or younger. Those seven players have an average of 187 games under their belt. So the Rox are largely depending on those guys. How dependable are they? The two guys who are pretty good bets to play well in 2006 are left fielder Matt Holliday and shortstop Clint Barmes. Holliday put up a .307/.361/.505 line last year and played stellar defense along the way. Barmes’ .764 OPS last season may not have been awe-inspiring, especially in Colorado, but consider that prior to a freak injury in early June, he was batting .329 with an .887 OPS. After falling down carrying frozen deer meat that Helton had given him, Barmes missed three months of action and struggled mightily (.544 OPS) upon his return. But who wouldn’t after being out of action for half a season? Garrett Atkins, the third baseman, was mediocre last year in his rookie season. ZiPS likes him in 2006, predicting an OBP-heavy .834 OPS. Atkins doesn’t have an enormous amount of power, but he’s relatively patient, and he gets a lot of hits. That’s especially good in Colorado where the big outfield means that if you put the ball in play, you’ll get plenty of singles and doubles. Luis Gonzalez, who will start at second base, is pretty mediocre. He’s in his prime at 27, but the best the Rockies can hope for from him is average play, both offensively and in the field. Brad Hawpe is Colorado’s left fielder, and he’s exactly the type of player who the Rockies shouldn’t be starting. Throughout his major and minor league career, Hawpe has struck out in almost a quarter of his at-bats. He also doesn’t have extraordinary power and he doesn’t walk much. Colorado should be trying to develop and sign players who put the bat on the ball and if possible, walk. Why? Well, think about it. The Coors Field outfield is huge, and the ballpark increases BABIP by 50 points! There are also more home runs hit in Colorado, though the impact is not quite so dramatic. So if you’re hitting the ball, you’re bound to get many more singles, doubles, and home runs. Walking is helpful as well, because walks are worth the most in a high-run environment, which Coors would have been even in the Deadball Era. Hawpe benefits minimally from playing in Denver. Cory Sullivan doesn’t strike out often; he’s just mediocre. Sullivan’s OPS in the minor leagues was .775, and in his first season in the major leagues last year, it was .729. The center fielder’s only redeeming feature is his good defense, which is important in Colorado’s huge outfield. Unfortunately, the catcher, Yorvit Torrealba, is another no-hit, all-glove type. His last three OPS+ have been: 83,79, 69. Ouch. So the youngsters span all the way across the spectrum of good to terrible. If they can improve—and given their lack of experience, that’s a definite possibility—the Rockies might have an okay offense. Otherwise, it’ll only look good because of Coors Field. One thing that bears watching, however, is that the young guys are still playing on fresh legs, and form a pretty good defense. Todd Helton, of course, is a Gold Glove-caliber fielder. So the Rockies’ pitching staff should be helped out by its fielders, something that is imperative in the vast outfield of Coors Field. 5. Is Colorado good enough to win in a weak NL West? This may sound like a weird question, considering that the Replacement Level Yankee blog put their chances at all of 5%, with a predicted record of 71-91. But the Rockies are one of those teams that could either be really good or really bad. They’re young, so it’s tougher to predict how they’ll fare. And they play in a ballpark that laughs at projections. The pitchers could be good, the hitters could be alright, and the Rox could easily compete in a weak NL West. Or the lineup could be terrible, Coors Field could get into the pitchers’ heads, and the Rockies could tally triple digits in losses. I like their chances more than most, but it really is impossible to pinpoint where the Rockies will end up. The always spectacular and ever-useful Day by Day Database.